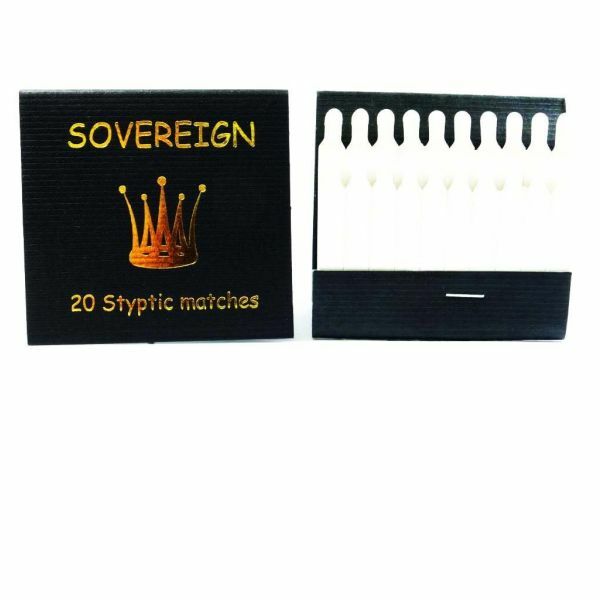 1 Pack of styptic matches with 20 individual sticks. Septic sticks are an extremely handy product that instantly stem the bleeding of cuts and nics that are practically unavoidable when shaving. Just snap off one of the sticks, immerse in water and rub gently over the sore. The tips secrete an anti-septic blotting agent which not only stops bleeding but sterilises the cut - a must have for any salon or fist aid kit.